An allergy is when your body’s immune system overreacts to something that you eat, drink, breathe or touch. Allergies may cause symptoms such as a runny nose, itchy eyes, itchy red skin or hives, cough or wheezing, sore throat, sneezing, or even upset stomach. People can have an exaggerated allergic response that may lead to swollen lips, tongue, throat, mouth, chest pain, tightness or difficulty breathing. Treatment for allergies depends on your symptoms and often can be managed conservatively by using nasal sprays, eye drops, oral antihistamine medications and eliminating triggers. If home treatment fails to yield desired results than an evaluation by the medical provider may be necessary to avoid complications. When you’re dealing with symptoms allergy-like symptoms, you want a quick relief of your symptoms. 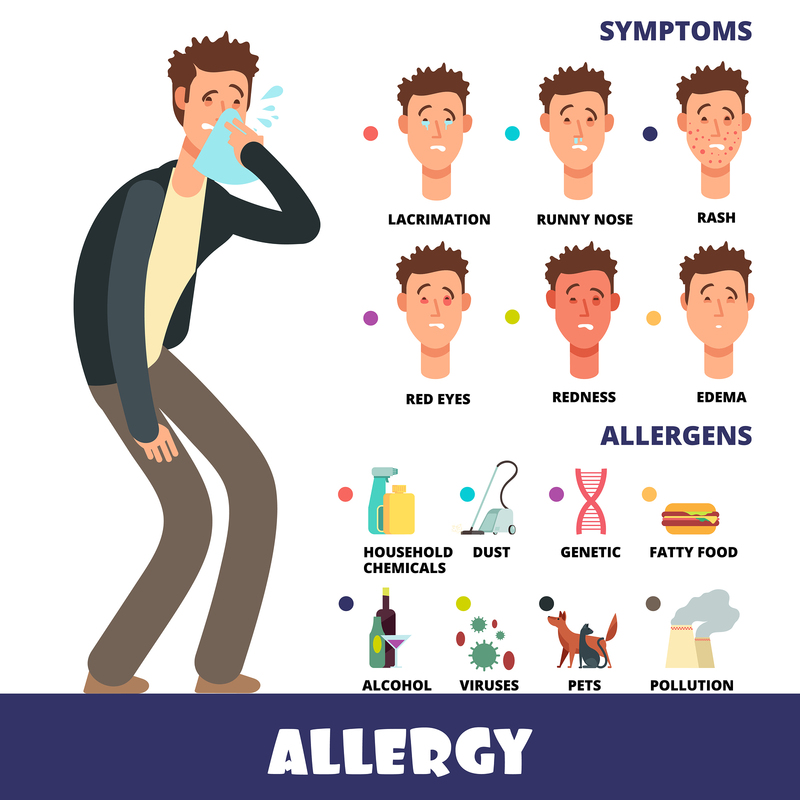 While there are plenty of things you can do yourself to help your body to adapt to the allergen, the preferred course of action is usually to have an evaluation by a medical professional. There are multiple medication medications that may help patients to control and lessen their allergy symptoms.If you don’t want to take time out of your day to sit in a germy waiting room, order urgent care visit to your home and relax at home instead!